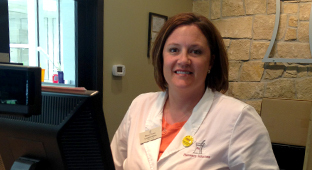 For Pharmacy Solutions, Inc., partnering with NEDCO was the antidote to their growing needs. Pharmacy Solutions, Inc. specializes in compounding pharmaceuticals to improve a patient’s quality of life. They are able to customize a patient’s medications to accommodate needs for a unique dosage amount, facilitate administration by combining various compatible medications, or eliminate problem-causing ingredients. Lyndell White, a principal at Pharmacy Solutions, Inc., found herself turning away business opportunities due to limited space and personnel. With the help of NEDCO and the 504 Loan Program, Lyndell was able to purchase land and construct a new building in Village Gardens near 56th and Old Cheney Road. 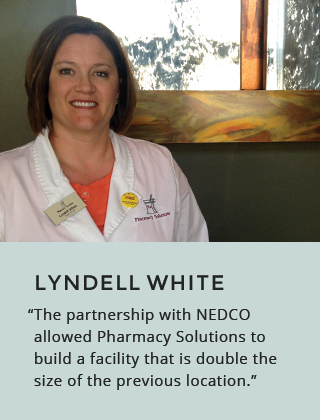 Today, Lyndell and Pharmacy Solutions, Inc. provided NEDCO the opportunity to support Women-Owned Businesses in Nebraska and create jobs for the community of Lincoln. Thanks to NEDCO, they can continue to provide services to the Lincoln community, Northeast Nebraska, and across the nation.